How to Use a Shaving Soap: Reduce Waste, Avoid Irritants & Save Money! By switching to a traditional moisture-rich shaving soap, reusable stainless steel razor and shaving brush, you can reduce waste, avoid skin-irritating ingredients, lessen the likelihood of razor burn and ingrown hairs, and save money. What better results could you want from shaving! But how do you use them? Shaving soaps are used for shaving your face, legs, underarms, bikini, or anywhere hair removal is needed. 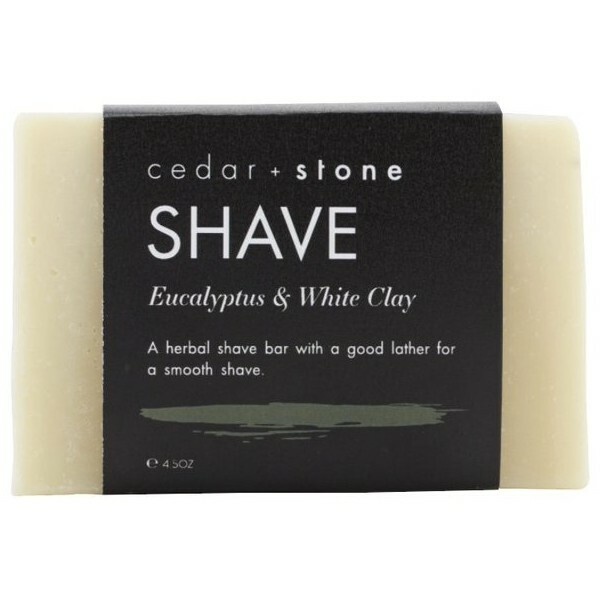 A shave soap can be used either by lathering in your hand or with a shave brush. Read on as we explain what to look for in the best shaving soap and how to use them effectively. The essential function of a shaving soap is to act as lubrication between your skin and a sharp blade, allowing the razor to slip over your skin with minimal irritation. The soap lather and warm water also soften your hair and skin, preparing it for an easier shave. The best quality shaving soap uses the traditional soap making method where a vegetable oil is mixed with an alkali to form soap. What ingredients should a great quality shave soap contain? Consider that as you shave you are grazing your skin, so you are likely to exacerbate any burn by putting onto that chaffed skin all of these petrochemicals, fragrances, detergent, preservatives, Sodium Laureth Sulfate and alcohol! The other cause of red bumps is of course ingrown hairs, and as you’ll read below a good shaving soap and brush can assist with calming and preventing this also. When shopping for a shaving soap, look for a traditional handmade soap that contains a high portion of plant oils and nourishing butters, such as olive oil, castor oil, coconut oil, shea butter and cocoa butter. Often with mass commercial soap making, the natural glycerine content of the oils is removed during the soap making process (as it is a valuable by-product for other uses) and hence why soap is often considered drying to the skin. With more traditional hand made soaps, the glycerine is retained and because of this a good quality shaving soap will feel much denser and produce more creamy lather. Generally, the higher the fat and glycerine content, the better the lather and the more effective the shave. The high fat content will lubricate and create a barrier between the blade and skin, while softening the hair and moisturising the skin. All of the shaving soaps available at Biome have simple and minimal ingredients with quality plant oils and butters, essentials oils, and some with clay that helps glide over the skin. Shaving your face, underarms and bikini line: Swirling the shave brush in circular motion over your skin will help exfoliate and remove dead skin cells, thereby lessening the risk of ingrown hairs, as well as lifting the hairs and making them softer ready for an effective shave. 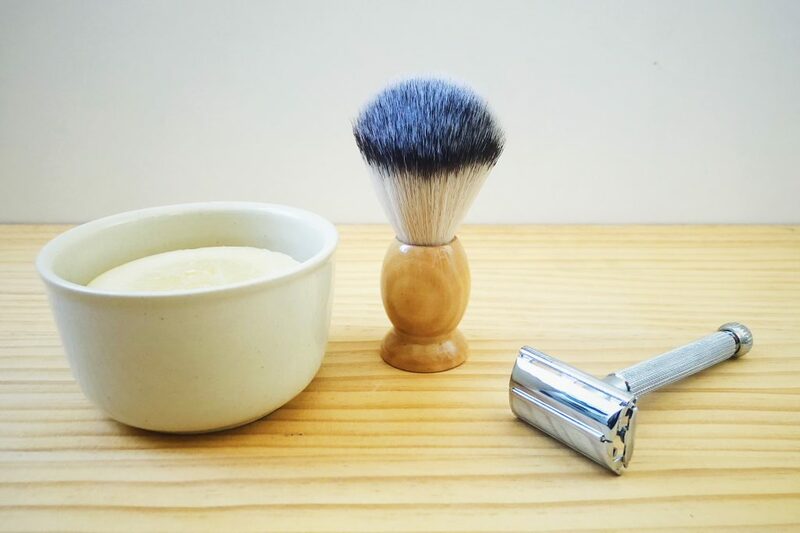 Fill a shaving bowl with hot water (or put a little in your sink) and soak the shaving brush for a minute or two. Remove the brush and shake out excess water. Empty most of the water from the bowl, saving approximately 1 teaspoon. Take your shaving soap and run a little hot water over it (approximately 1 teaspoon). This will make the soap softer. If your soap comes in a tin, keep it in the tin to do this. 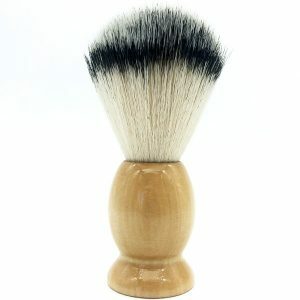 Take your shaving brush and swirl it over the soap for 10-20 seconds. Transfer the brush to the bowl with the little bit of water and swirl it for approximately 1 minute until a thick lather builds up. At first it might be quite bubbly, but the longer you swirl the brush the thicker it will become. Once the lather is nice and thick, use the brush in circular motions to apply it to your skin, covering all the areas you wish to shave with a nice thick cushion of lather. Shave using a quality safety razor. After shaving, spray Witch hazel, which is a natural antiseptic that helps reduce inflammation in the skin. Shaving your legs: Lather the soap bar in your hands. There is no need to use a brush. Reduce waste: Instead of aerosol cans or plastic tubes, Biome’s solid soap bars are packaged in nothing at all, compostable paper, or a reusable metal tin. 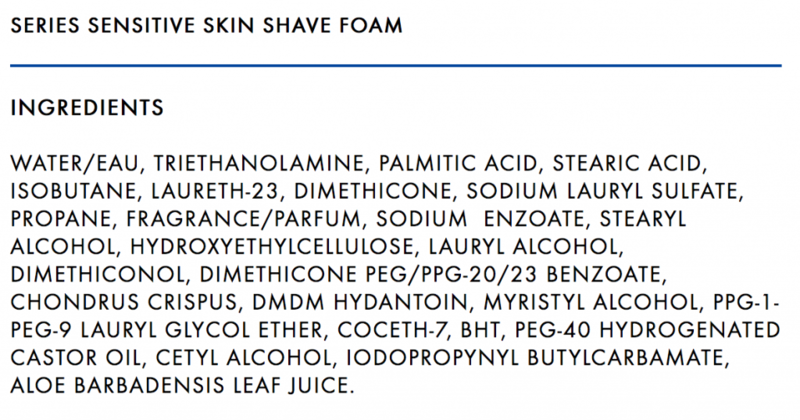 Avoid synthetics: As we’ve shown above, there is an intense amount of harmful synthetic ingredients in most shaving foams. Our natural shaving soaps are much healthier for you and the planet too! 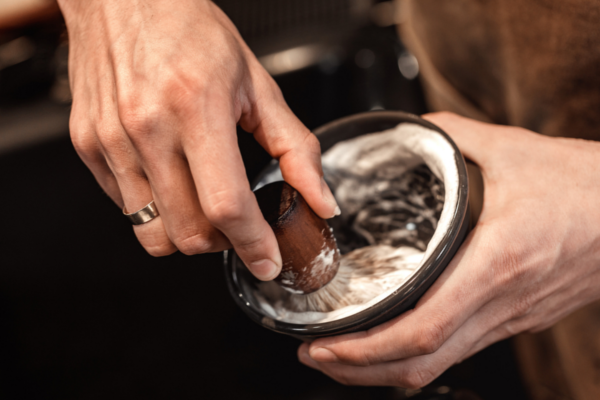 Save money: While they may cost more than a can of Gillette Shave Foam initially, when used as recommended, our shaving soaps are much longer lasting (approximately 4-6 months), saving you money in the long term. 3 Responses to How to Use a Shaving Soap: Reduce Waste, Avoid Irritants & Save Money! Safety razors are for the throwaway people. A straight razor (with care) lasts a lifetime. 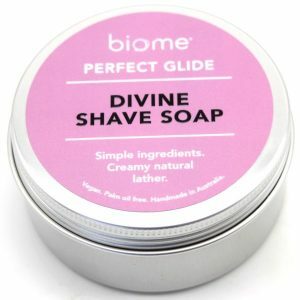 Hi, with the Biome Divine Shave Soap, can you tip the soap bar out of the tin or is it stuck in there? If it is stuck in there how do you suggest using it to shave your legs? Yes, you can easily tip it out and use as a normal soap bar.